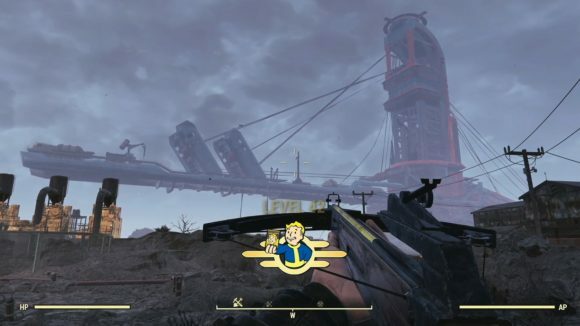 Fallout 76 is making some big changes to the series character management system to adapt what was once a single-player experience into an online multiplayer one. 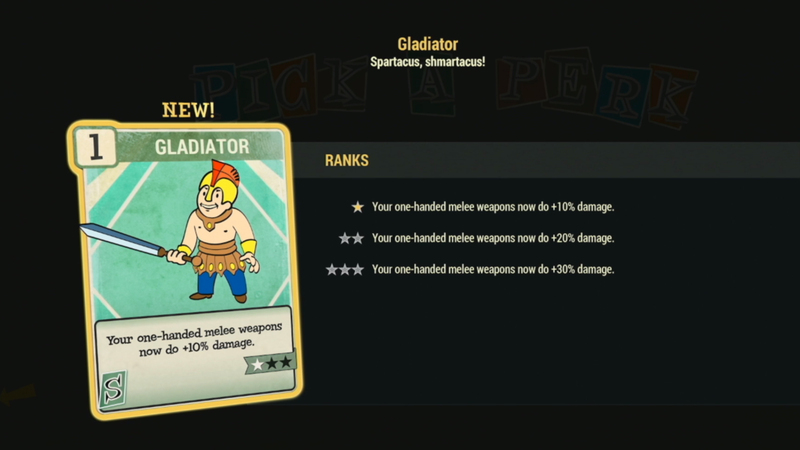 The new perk card system will allow you to mix and match abilities you’ve picked, slotting them into SPECIAL attributes depending on the number of points you’ve invested in each skill area. 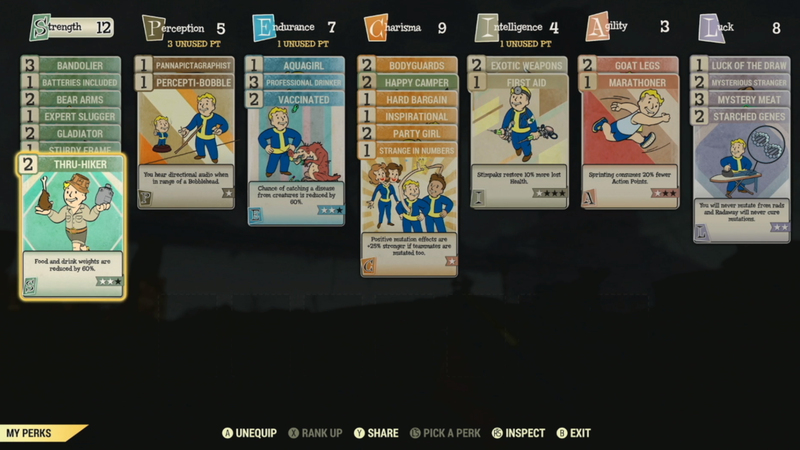 During a Fallout 76 panel at QuakeCon 2018, senior members of the Fallout 76 development staff provided a more in-depth look at the perk system than we’ve seen so far. Game director Todd Howard was joined by development director Chris Mayer and project leader Jeff Gardiner to explain how the new system works. SPECIAL points work as they have in previous games, but with an important new wrinkle – now, the points you have in each SPECIAL attribute also function as a pool to use when selecting perk cards. 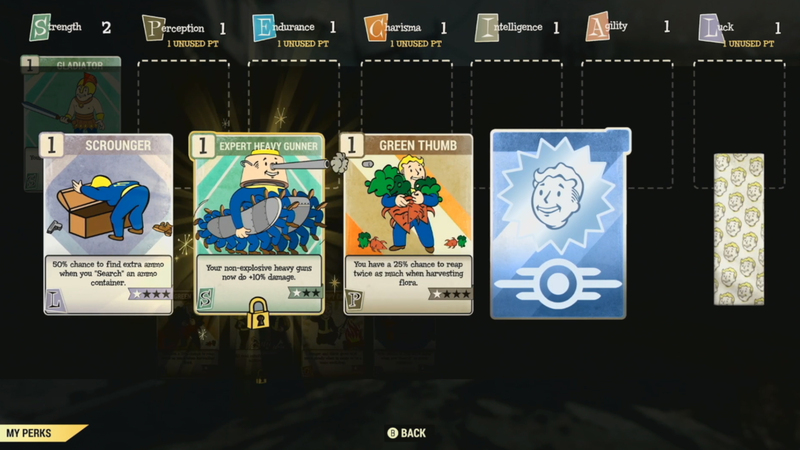 For instance, if you have six points in strength, you’ll be able to select six points’ worth of strength perk cards to have active at any given time. 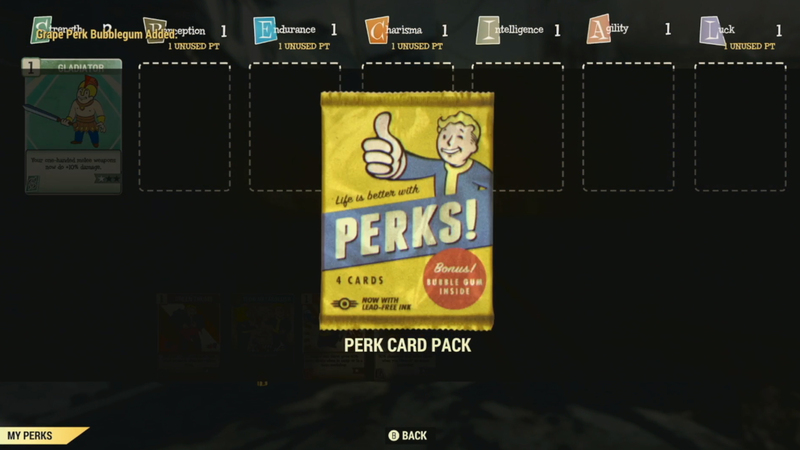 Perk cards each have a point value, and can be slotted in and out at any time. 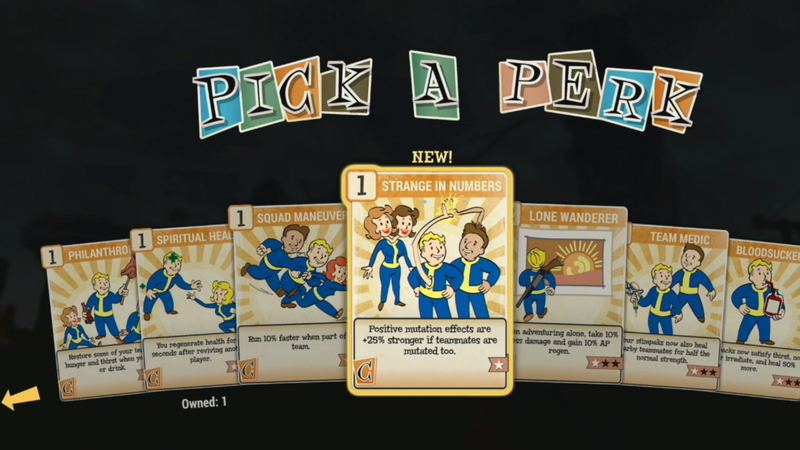 Many are highly situational: Gardiner said that during testing, he’ll use the Lone Wolf card, which grants an experience bonus when you’re on your own, while he’s playing solo. But he’ll swap that out for something else as soon as he joins a party. Each time you gain a level, you’ll be able to put another point into one of your SPECIAL attributes, but you’ll also be able to select any of the hundreds of Fallout 76’s perk cards. At certain level milestones, you’ll also be rewarded with a perk card pack, which includes four randomly-drawn cards, one card with a corny joke on it, and a stick of (presumably stale) gum. “The gum, for fun, it’s a very slight… it reduces your hunger for a while,” Howard said. You’ll also be able to combine identical cards into more powerful version, which will increase the bonus the card confers while also increasing its point value. This means you’ll gain cards slightly faster than ability points, so you’ll always have options for changing up your character build depending on the situation you find yourself in. 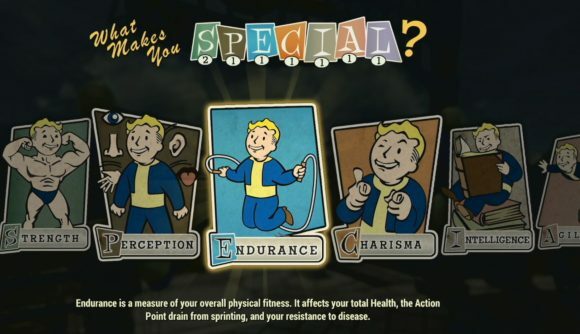 And you’ll keep getting to pick a perk card every time you level up even after you hit the ability point cap at level 50. The Fallout 76 release date is set for November 14, and Bethesda plans on holding a beta for customers who pre-order the game.